The Battlefield 1 beta is currently interrupted because EA seems to have trouble with their servers. 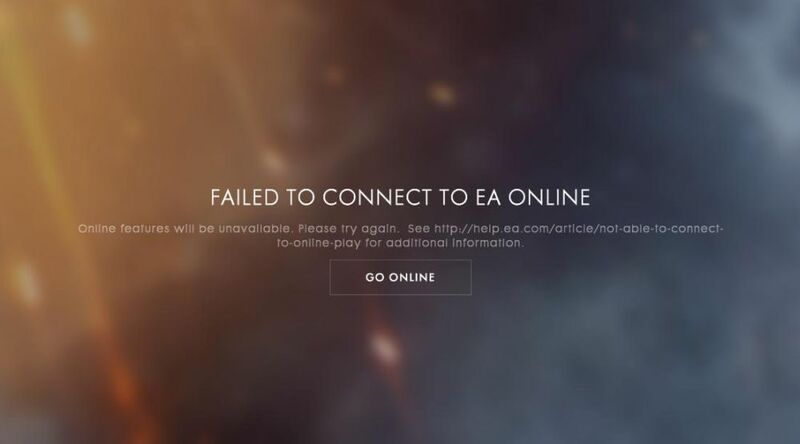 Many people can’t connect to the EA servers currently and read messages like “You have lost connection to the EA servers” and Failed to connect to EA Online”. If you experience the same, it’s not on your end, it seems the servers are currently down and they have some issues there, and they might be under DDoS attack. EA had already trouble to deliver early access beta keys, as they had issues with the key generation process, but now they do also have trouble with the servers. The start of the Battlefield 1 beta was already pretty rough and the new interruption might upset people even more. It’ll be interesting to see if the full release will be problem free, but betas are there to sort out major problems before the release day.